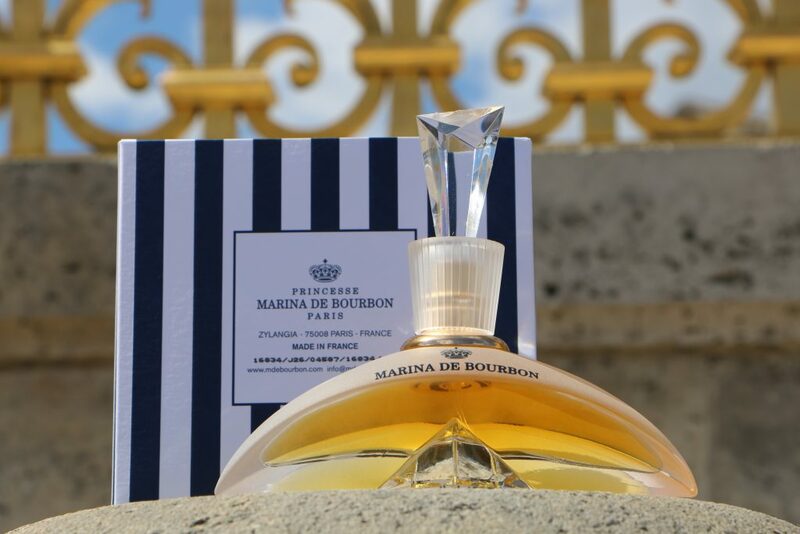 I just found my new favorite perfume: Princesse Marina de Bourbon. Not only because of the fragrance, but because of the entire story behind the product and the touch of princess attitude that it adds to your everyday life. Designed by a real princess: The packaging, the bottle and the accessories makes you shine like a royal. 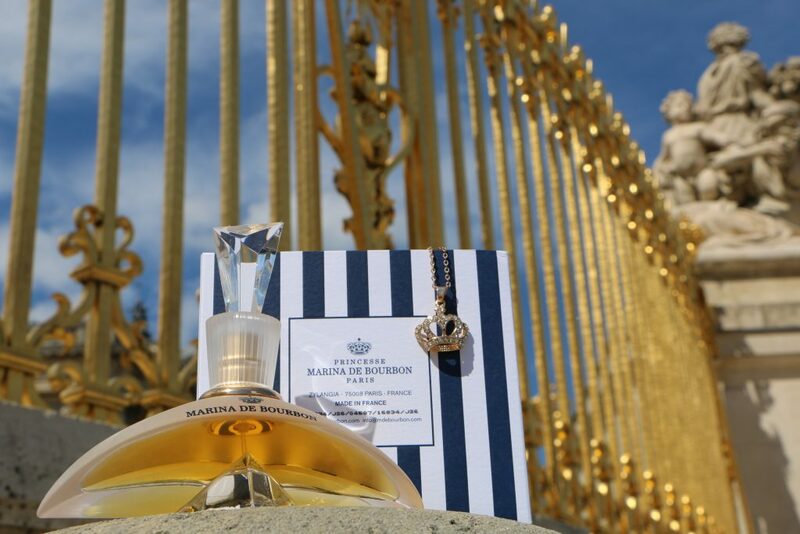 These perfumes carry the fabulous story about Princesse Marina de Bourbon, who became a real Princess and part of the French Royal family when she married the Prince André de Bourbon Parme – direct descendant of Louis XIV. 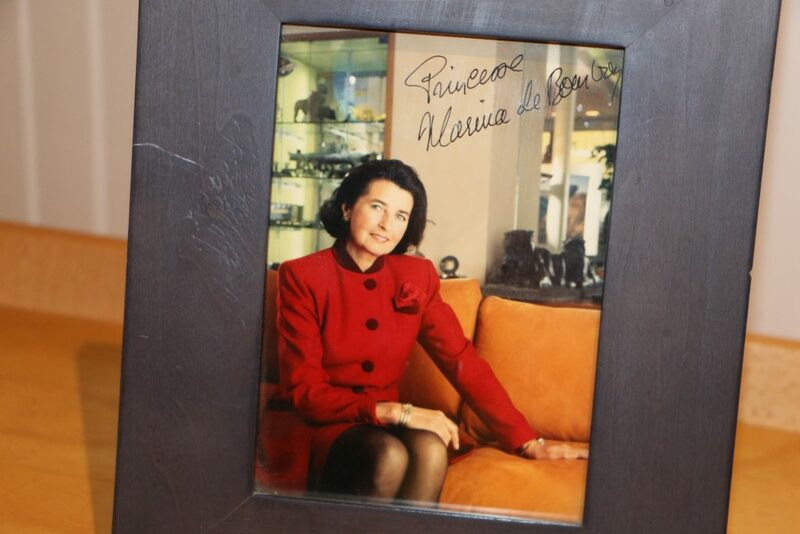 She created her perfume brand Princesse Marina de Bourbon 20 years ago, in order to share the secrets of royal fragrances with women all over the world. The secrets that has been passed on from queens to princesses throughout hundreds of years…and today it´s shared with you and me. I must admit there is something about these perfumes. It´s difficult not to feel sophisticated, feminine and royal when you´re walking down the street, wearing a perfume that leaves an intriguing fragrance behind as you´re walking by. In my bag you´ll find different perfumes depending of the season.. 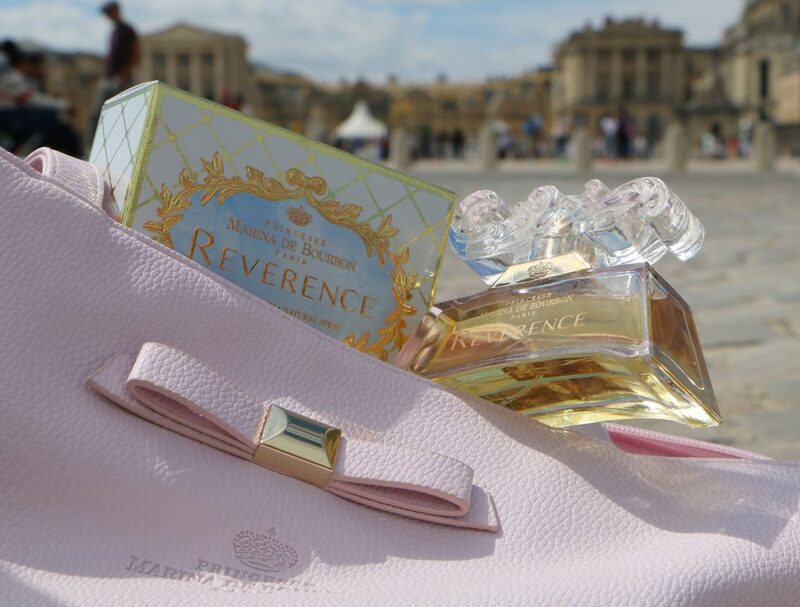 THE REVERENCE – A sweet floral perfume. Its sweet floral notes makes it soft and seductive…and if you get closer to it you might sense the Spicy Pepper, Rose and Musk. A captivating perfume, that is perfect for today’s multifaceted woman. 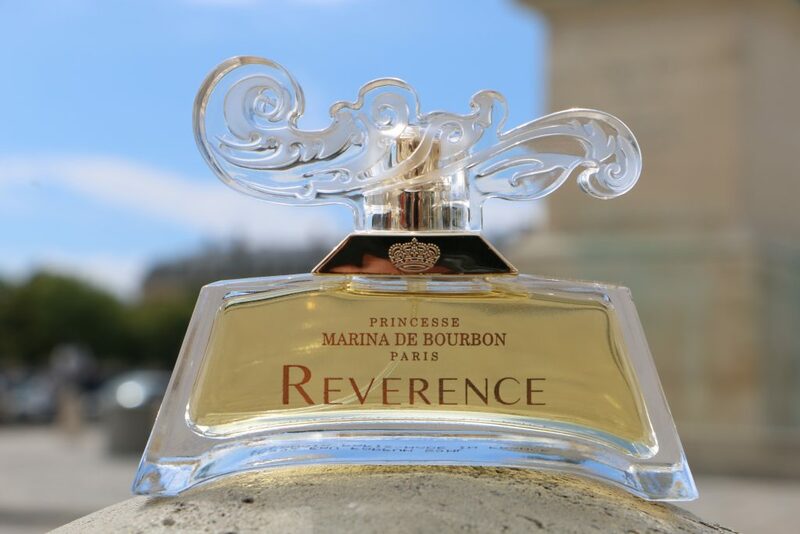 I like the transparent perfume bottle with a beautiful clear scroll on the cap and the golden crown that you´ll find on all the Princesse Marina de Bourbon perfumes. Very royal. If you are more to the strong and mysterious perfumes with a sweet oriental scent, then the new version of the first and iconic Marina Classique luxurious fragrance, is a perfect choice. I use this perfume for Autumn and Winter. When I spray it on I can smell the sweet notes of crushed Blackcurrant, Watermelon and Vanilla combined with exotic fruits like Ylang Ylang from the Comoros Islands and Peach. It is not too sweet, just soft and leaves you with a feeling of being sophisticated and sensual. The bottle reminds me of the dress of a princess with feminine curves… sensual, precious and elegant. ROYAL MARINA TURQUOISE – A fresh floral perfume. 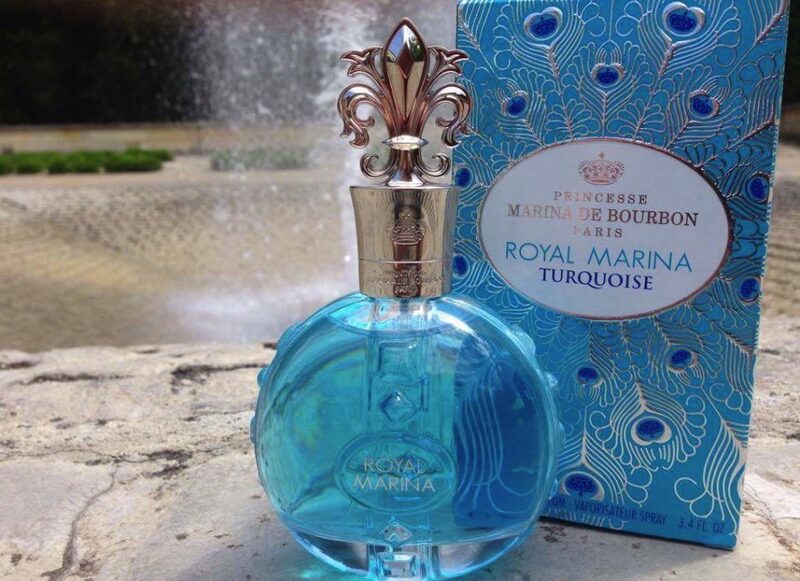 If you are looking for a fresh and elegant perfume for summer I think the Royal Marina Turquoise is the perfect choice. It adds a fresh breath and a feeling of ease and freedom. I can smell the fresh fruits combined with Lily of the Valley, Jasmine and Magnolia. The Sandalwood, Musk and Vanilla gives it a soft touch and a great freshness. Remark the elegant packaging with peacock feathers. At the time of the French royalty, the eyes of feathers represented the famous royal crown. Nowadays, the peacock symbolizes power, majesty and refinement like the elixir hidden inside. I´m normally having a hard time finding great perfumes for men…but this one was love a first sight. 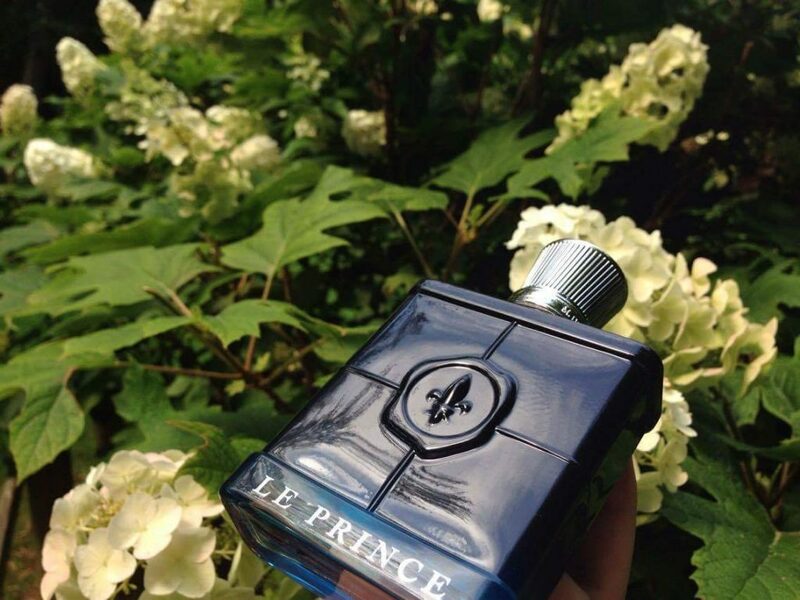 It is a deep, modern and elegant fragrance with slightly spicy notes. Perfect for the smart and confident man. Its smooth and pleasant character makes it easy to wear at any occasion. I find it very seductive. The graduated dark blue glass echoes the fragrance’s freshness. 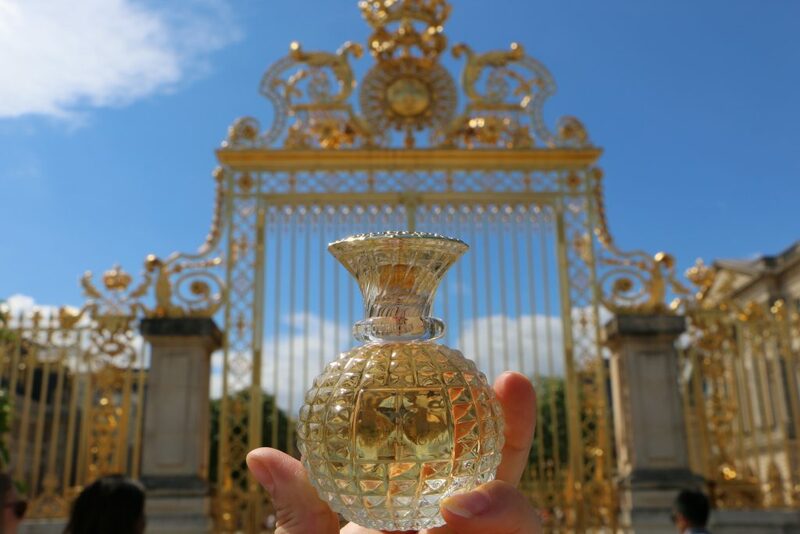 The seal of Royalty is displayed at the centre of the perfume bottle as a symbol of pride and power. The packaging, a brushed style aspect with a deep blue, matching perfectly to the bottle color. 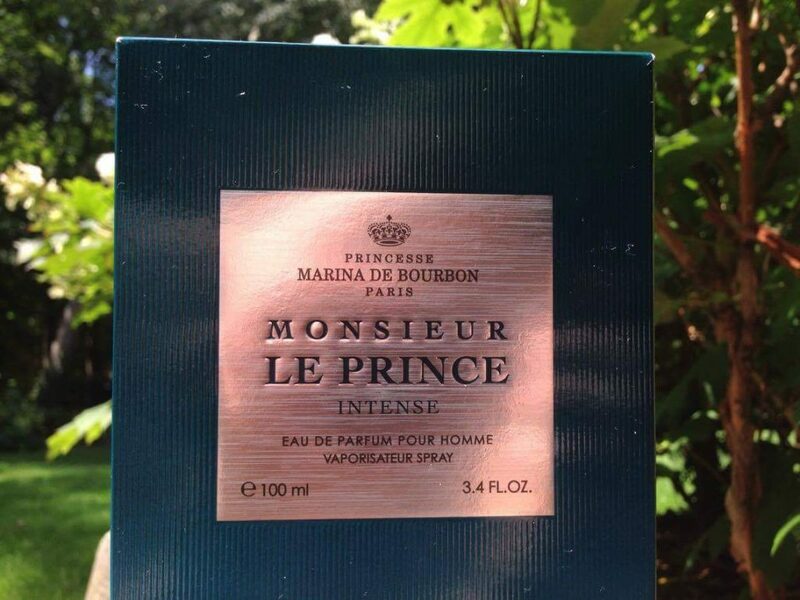 I´m great fan of the Princesse Marina de Bourbon perfumes. And the great news is that if you want to try them, you can get free test perfumes sent to your home to discover which one you like. Find out more on their website. 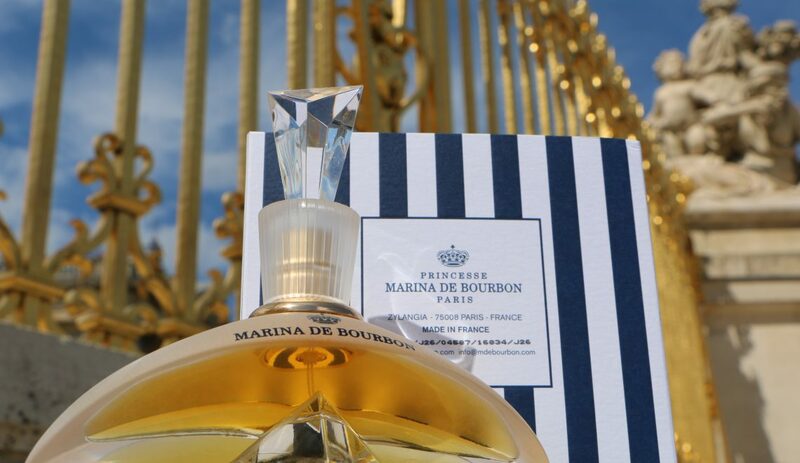 And until the 15 July: Participate in the competition to win a Princesse Marina de Bourbon perfume of your choice. Find out more on my Instagram profile.